Or coupons, anyway. 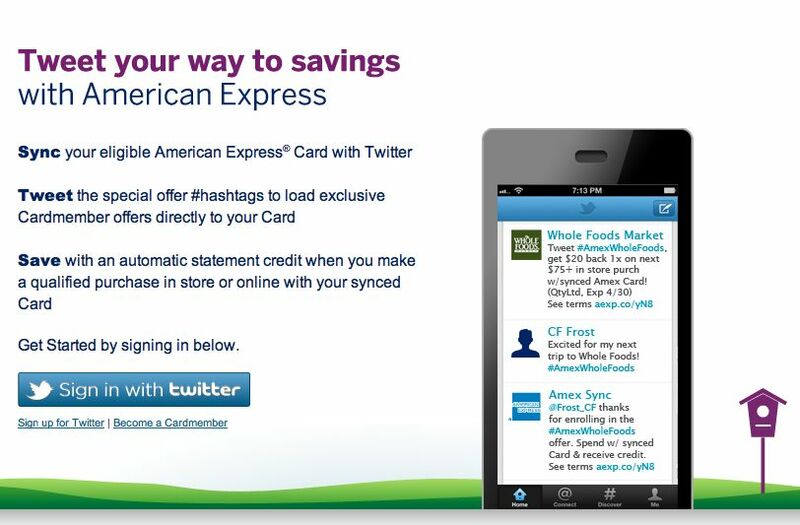 American Express has launched a promotion encouraging its cardholders to “sync” their card with Twitter. 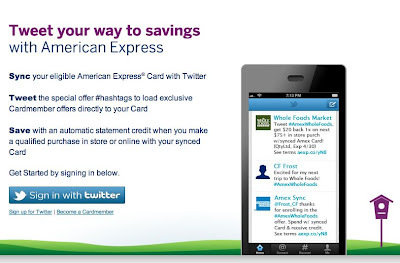 Then, if you want to load coupon-type discounts onto your AmEx card from merchants, you simply have to tweet a #hashtagpromotionoftheday to your Twitter followers, and AmEx will automatically reward you with a discount on your card. At first glance this may seem cool, until you consider the user experience. Say you and I are friends via Twitter and #heysave$10onMobilgas! we’re having a conversation online and #dontmiss10%offpantiesatVS our conversation seems somewhat #$1friesatMcDs! different perhaps. Better yet, as you scan the broader stream from all the people you follow on Twitter #paperonsaleatStaples! the overall ecosystem seems somehow #morefreefriesatBurgerKing changed. From a marketing standpoint, this is brilliant, because it costs merchants almost nothing (discounts are a form of price framing in which prices can be jacked up and down for a perceptual benefit only) and could spur demand for both incremental sales and AmEx usage. French-fry sellers and American Express both get upticks. But for social media users, an intrusion of paid, unexpected marketing messages could diminish their experience. MySpace went south after becoming too crassly commercial. Facebook grew to immense popularity by being careful not to overload users with advertising (Zuckerberg famously rejected banner advertising in his initial launch years, and eventually created a more subtle ad format off to the side). Now, Twitter is trying to catch up in advertising revenue with in-stream intrusions. The question is whether the blurring of the traditional hard line between paid advertising and unpaid human/editorial content, by asking participants themselves to spray marketing messages, is damaging to a network in a way that will eventually reduce usage, audience, and viability. We could be wrong. Maybe tweeting #thisoffermeansmoretomethanyou will make us all more popular. 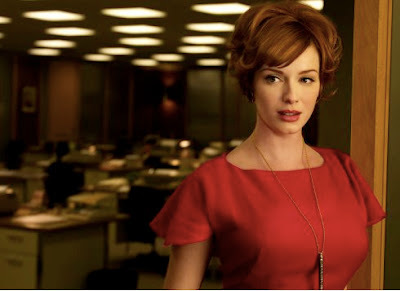 Squeezing Mad Men for more ads. Oh, the irony. One of the great debates inside advertising circles is how much is too much? The typical American has the TV on for 5 hours and 9 minutes each day, of which 27% is paid advertising. Do the math and that’s 1 hour and 23 minutes of TV spots per day, or at 30 seconds per spot, 166 commercials a day. Enter Mad Men. The Daily is reporting a catfight between the creator of the show, Matthew Weiner, and Cablevision executives, who are said to want to trim the length of Mad Men by 3 minutes to insert, yes, 6 more 30-second commercials. The AMC cable channel, you see, is part of Rainbow Media Holdings, a gem that Cablevision reportedly hopes to spin off soon in an IPO. Improving the financial performance of a business before going public is standard procedure, so what’s a few more spots? Alas, Mad Men’s beautiful content would have to be cut. It is hard to believe that back in the 1960s U.S. TV viewers only saw 9 minutes of commercials per hour, vs. today’s 16-18 minutes. We love advertising, yes we do … but with 166 TV spots hitting you each day, how many more can possibly work?